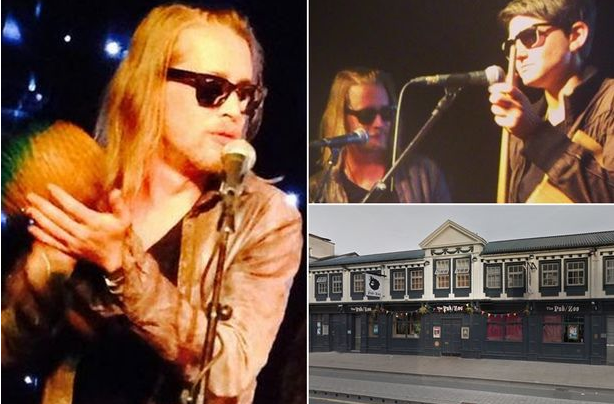 Former child star Macaulay Culkin booed off stage in Manchester and pelted with bottles. Troubled former child star Macaulay Culkin stormed off stage after being pelted with plastic glasses while performing with his band The Pizza Underground, it's claimed. The Home Alone actor battled on with his performance in Manchester despite the crowd being rowdy. But the final straw came when a crowd member interrupted his kazoo solo, according to witnesses. Several people were kicked out of the Grosvenor Street venue, Zoo, as a result. The gig was as much a homage to fromage as it was to Lou Reed and his ground-breaking New York band The Velvet Underground, who were at the heart of pop artist Andy Warhol’s Factory scene in the 60s.